I'd seen this car in a photo posted online from the recent MX-5 Owner's Club Rally at Sandringham and was keen to find out more about it. The car is owned by Wrights Mazda, a dealership with branches in Norwich and Beccles, and is currently being used for promotional purposes. 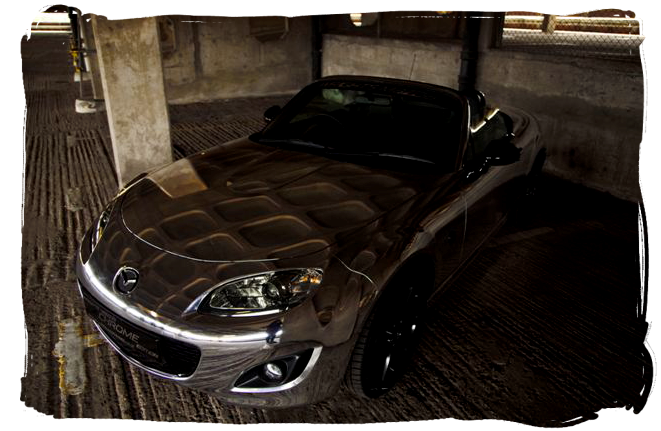 This MX-5 is a 2011 Sport Black edition based on the 2.0 Sport Tech Coupe trim. The Sport Black was only available in Velocity Red, Spirited Green, and Crystal White. 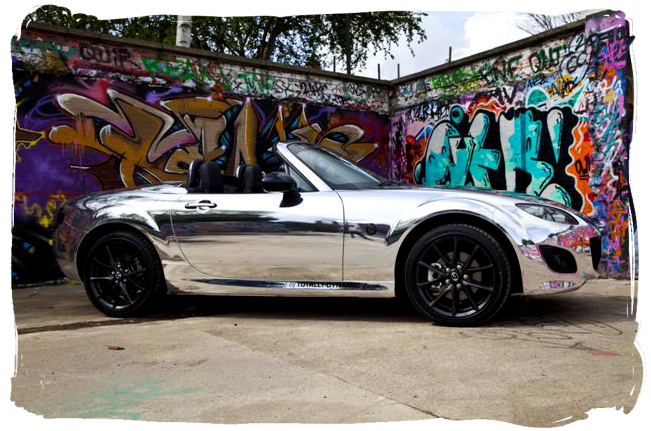 This particular car was originally in white but has been given a stunning full body wrap in chrome vinyl. The wrap work was undertaken by graphics company Totally Dynamic based in Norfolk. 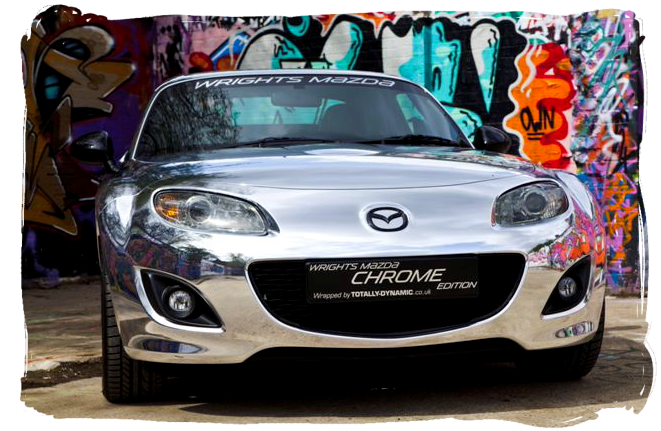 This MX-5 was one of the first cars to be completely wrapped in this chrome effect vinyl, previously it had only been used on small trim parts. The wrapping work took 3 weeks to complete and involved bringing in specialists from around to the UK to ensure the fit and finish was as good as can be. The final result speaks for itself and looks fantastic! The head and tail lights have been given a subtle tint effect for some contrast to the mirror finish bodywork. The Mazda badges are now black for the same reason, but apart from that the car is left in standard Sport Black trim. The flawless reflections from the chrome vinyl give the car a strange ability to blend in with the surroundings when parked up. 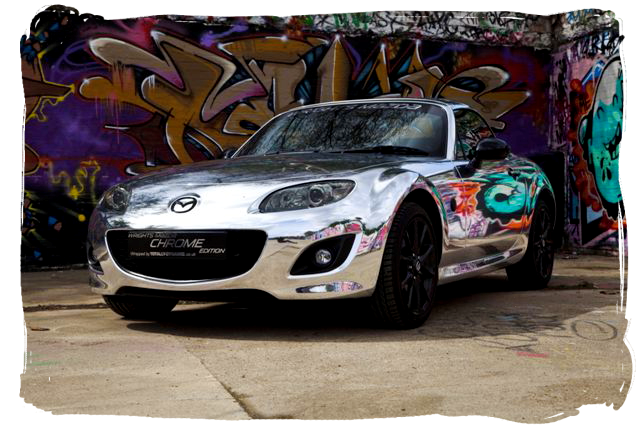 Out on the road it certainly turns heads and as far as we know is the only chrome NC MX-5 in the UK.